I would like to try the stain remover, my son gets stains all the time. I'd like to try their 22 Ounce All Purpose Cleaner to help keep toddler toys clean! I would like to try the stain remover. My son is always getting stains on his clothes. I'd try the stain remover spray. I would live to try the stain removing spray! I would like to try the LAUNDRY STAIN REMOVER (22 OZ). I have a grandbaby that could use this. There are several products I would like to try but I think the All Purpose Cleaner is the one that I want to try the most! I'd like to try the odor eliminator to quickly remove odors from spit up, milk, etc. while we're away from the house. 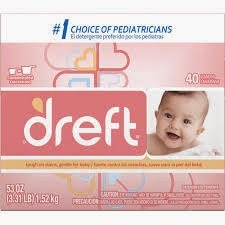 I would like to try their dryer sheets cause I know the soap smells good and is gentle so I'm sure the sheets are too. I would love to try the Odor Eliminator and fabric refresher because so many other leave a gross chemical smell. 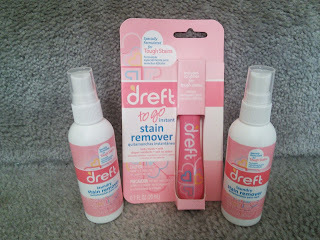 I would love to try the Dreft Odor Eliminator, I have about a dozen places in my house I would love to spray down this! I would love to try the stain remover! We have lots of stains at home! I'd like to try MULTI-PURPOSE CLEANER because it's "specially formulated to effectively and safely clean surfaces"
I need to try the stain remover for sure! I would like to try the ODOR ELIMINATOR. Spit up on my couch for one thing. Id like to try the odor eliminator and the detergent.